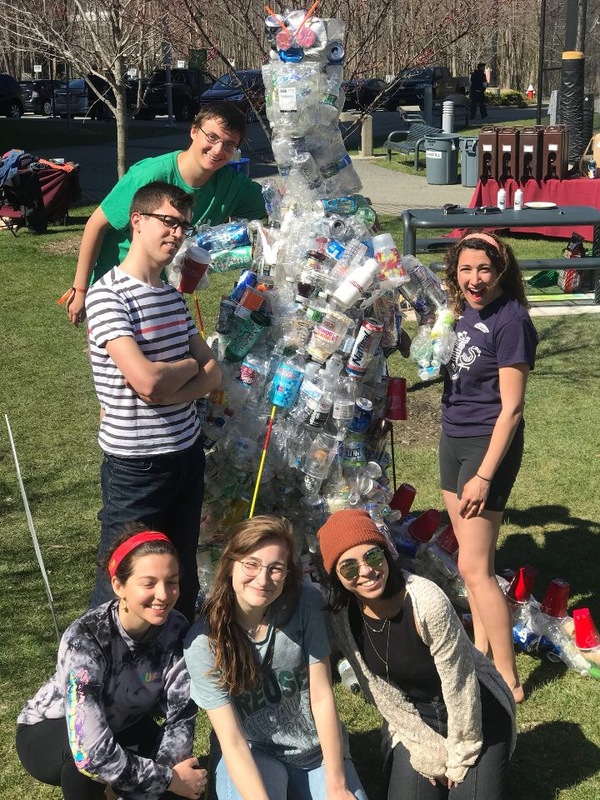 1STEP (Students Together for Environmental Progress) and several other Ramapo clubs came together for the “Jamapo Green BBQ” in celebration of Earth Day on April 22, 2018. The event included catered food from local vegan restaurants, an interactive performance by the Brazilian Percussion group, yoga sessions, a clothing swap, a t-shirt design event, and of course music. The turn out for the event was great and the weather couldn’t have been better. The highlight of the day came with the unveiling of “Trashzilla,” a sculpture in the form of Godzilla, designed entirely out of trash collected from campus cleanups of the parking lot and other areas on campus. 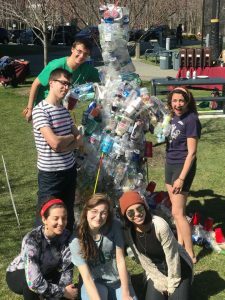 The idea for the project came from 1STEP co-president, Afnán Khairullah, and was assembled by volunteers from 1STEP and the Visual Arts Society over a series of weeks leading up to Earth Day. 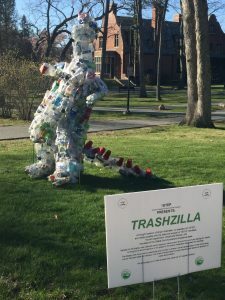 Trashzilla is currently on display in the grove area on campus and will be there until April 27th. 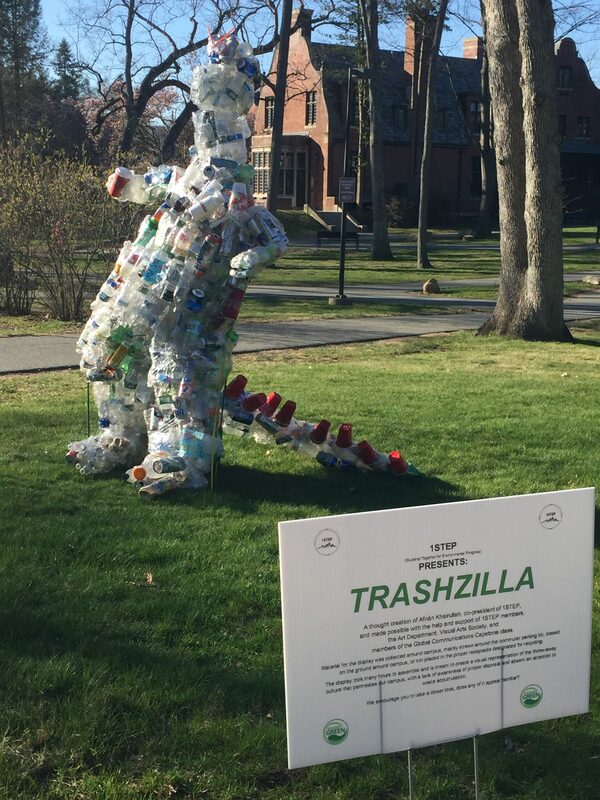 Trashzilla serves as a reminder of the waste problem that permeates our campus. Too often we see improperly disposed of trash, especially materials that could be recycled. Hopefully this art installation will inspire members of the community to be more mindful of their waste disposal habits. Earth Day comes once a year, but shouldn’t we consider our relationship and impact on the Earth every day?